For our mid-week NBA Sneaker Watch, we get a look at a couple upcoming releases from Nike Basketball, along with a selection of current styles. We see Tyrus Thomas lead the way for the Bobcats in the "Flint" Air Jordan Retro 13, while LeBron James and Kobe Bryant both introduce a new colorway of their signature shoes. Following up the debut of the Christmas Edition Zoom Kobe VI, Kobe Bryant falls to 0-2 in the VI as he wore the all new del sol based colorway. On the other hand, the Miami Heat continued to play at a high level in a win against the Knicks that also saw LeBron James debut the home colorway of the LeBron 8 V/2. Check below for a look at the rest of this week's Around The NBA Sneaker Watch. 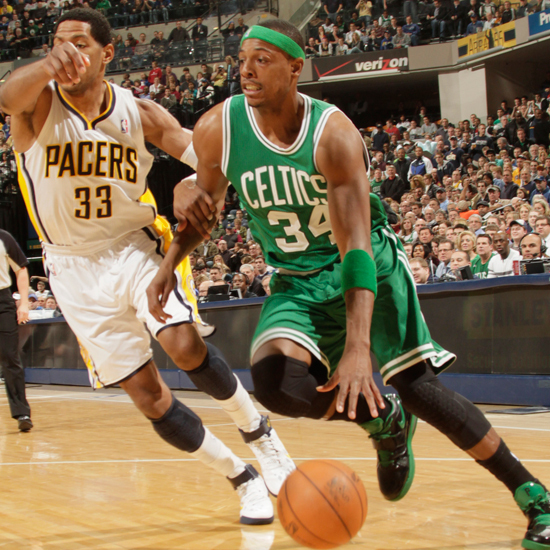 Paul Pierce drives in the Nike Air Legacy 2. Gilbert Arenas wears the "Space Jam" Air Jordan Retro 11, while Mo Williams is seen in the Zoom Hyperfuse. 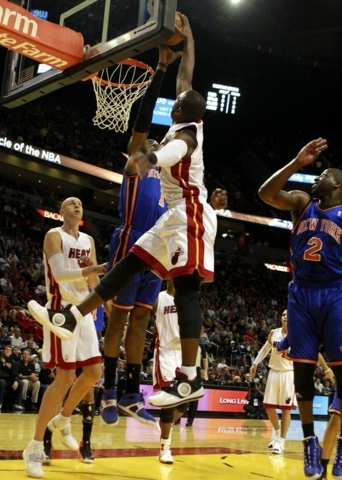 Dwyane Wade goes up in the Air Jordan 2010, with Amare Stoudemire defending in the Zoom Huarache TR. 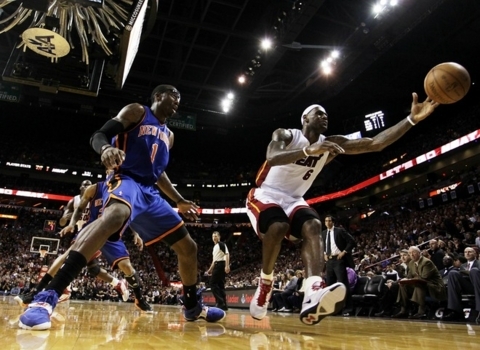 LeBron James wears an all new colorway of the LeBron 8 V/2. 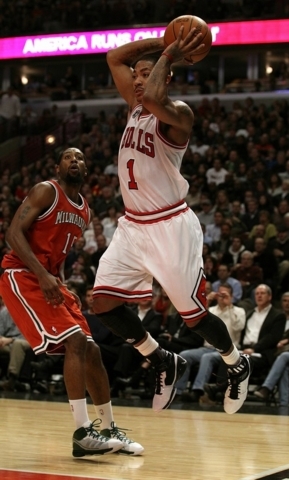 Derrick Rose in the adidas adizero Rose. 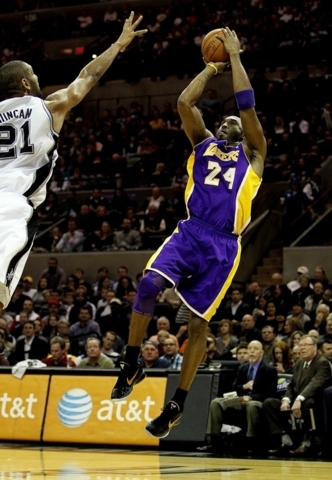 Kobe Bryant debuts the del sol based make up of the Zoom Kobe VI. Aaron Brooks wears the Zoom Hyperfuse Low, while John wall chases in the Reebok Zig Slash. 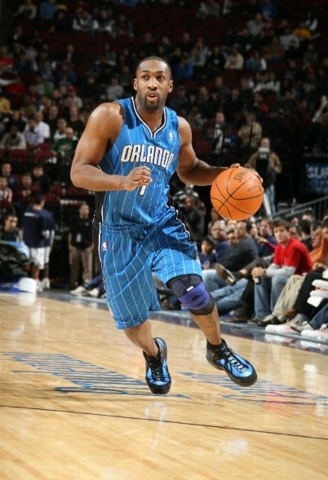 Gilbert Arenas in the Nike Air 3. 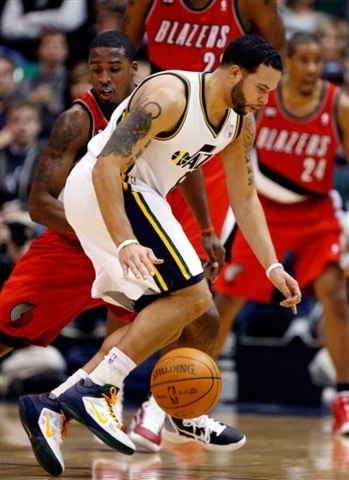 Deron Williams wears a P.E colorway of the Zoom Hyperfuse Low. Tyrus Thomas gets the dunk in the "Flint" Air Jordan Retro 13.